Phase I of diversified miner Eurasian Resources Group’s (ERG’s) Metalkol Roan Tailings Reclamation (RTR) copper and cobalt project in the Democratic Republic of the Congo (DRC) is nearing completion and is expected to reach initial production rates early next year, says ERG CEO Benedikt Sobotka. The project comprises the reprocessing of old cobalt and copper tailings from previous mining operations around Kolwezi, in the DRC. At full capacity, the Metalkol facility will supply more than 120 000 t/y of copper cathode and 24 000 t/y of cobalt to the global market. He enthuses that these are volumes sufficient to build more than three-million electric vehicles (EVs) a year. A significant achievement of the ERG team is a recorded thirteen-million consecutive injury-free hours within the construction of the first phase of the project, he highlights. Further, ERG has found an effective solution to guarantee a reliable electricity supply, which has previously been an issue in the region. In August, Metalkol signed an agreement to secure electricity supply to its operations in the DRC for up to ten years. The contract was agreed with the DRC national electricity company the Société Nationale d’Électricité; Zambian power transmission, generation and distribution company Copperbelt Energy Corporation (CEC), which is a major developer of energy infrastructure in Africa; DRC commercial bank Rawbank. “The Metalkol RTR project will result in the decontamination of the Musonoi River and relocation of tailings to modern storage facilities after processing. Reprocessing the old waste and storing it in a responsible manner is a testament to ERG’s responsible approach and sustainable development of the local communities,” Sobotka advances. He notes that ERG has been working with its Chinese partners on several significant business development projects globally, and Metalkol is one of the central projects. He states that ERG is proud to have a project in its portfolio that is fully in the context of ERG’s strategic participation in China’s Belt and Road Initiative (BRI). The BRI is a development strategy adopted by the Chinese government involving infrastructure development and investments in countries in Europe, Asia and Africa. Sobotka states that copper has been subject to concerns over global trade tensions against a backdrop of rapidly improving physical indicators. LME Week is the annual gathering of the global metals community in London, England, and was held in October. Asia Copper Week was held last month in Shanghai, China, and is Asia’s leading copper event that welcomes more than 1 800 professionals from across the global copper supply chain annually. He comments that ERG expects prices to be supported further next year as supply struggles to keep pace with continued healthy demand. In the long term, the company foresees that copper will be underpinned by supported fundamentals. He explains that the severe underinvestment in mining projects in recent years will lead to protracted deficits while copper demand for EVs and renewable energy, as well as China’s BRI, will offer an upside. The BRI is one of the main drivers of future copper demand growth and includes more than 100 countries and international organisations, and investments taking place are driving infrastructure projects and transforming supply chains across Eurasia, Africa and Latin America. Sobotka elucidates that copper is used intensively in BRI projects, especially in early-stage infrastructure projects in the power and transport sectors, as well as in later-stage projects which will be more consumer driven, relating to the real estate and appliances sectors. Moreover, as copper producers in the DRC, he notes that the company is also benefitting from cobalt co-product revenue. Demand for cobalt is seeing double-digit annual growth rates and this is forecast to continue over the next decade, mostly owing to the global shift towards EVs and battery energy storage systems, he illustrates. The cobalt market is undergoing seismic demand growth and supply will struggle to keep pace, despite the fact that an additional 22 000 t of cobalt was mined this year compared with 2017, he adds. Further, ERG expects copper and cobalt output to continue to grow steadily in the Copperbelt. “ERG is aiming for organic growth and the development of our own projects. 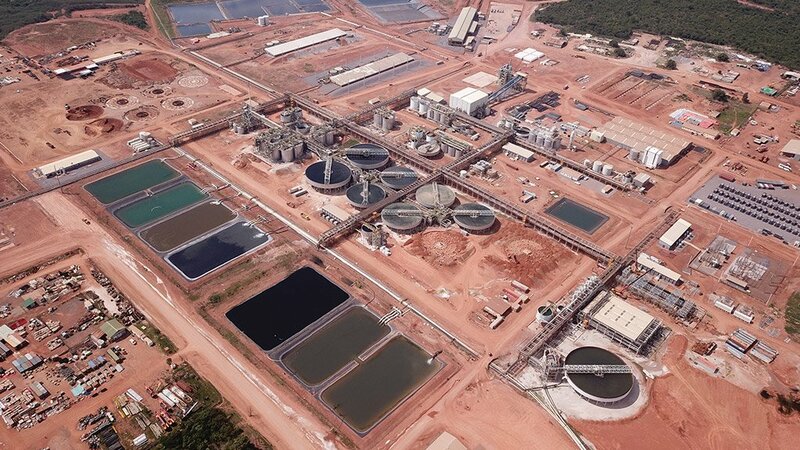 The company’s strategic plan is to boost annual capacity of copper to more than 350 000 t and cobalt to 50 000 t. Next year, ERG’s output is set to grow to 230 000 t of copper and 20 000 t of cobalt,” Sobotka advances. ERG employs more than 10 000 people in Africa and has invested billions of dollars in mining operations and associated social and infrastructure development initiatives, he notes. Last year, the company initiated the Clean Cobalt programme at the Metalkol facility to help ensure responsible cobalt production, improve local communities’ quality of life and support multi-stakeholder efforts to achieve responsible cobalt supply chains. “This will give customers the confidence that ERG’s responsibly produced cobalt does not include material from artisanal and small-scale mining sources, is free of child labour and can be reliably traced to its operations,” Sobotka highlights. The company is also supporting multi-stakeholder advocacy through public-private coalition the Global Battery Alliance, which Sobotka co-chairs. The alliance, which was launched in 2017, is an initiative by nonprofit organization the World Economic Forum aimed at achieving a responsible global battery supply chain. ERG is establishing solar-powered water supply installations for communities across the company’s areas of operation to bring a sustainable source of clean drinking water to thousands of people. Moreover, the company’s support for education is just one of the several initiatives it has in its operating regions to improve the lives of local communities. In the DRC, access to adequate formal education and healthcare presents an acute challenge for local communities. To help address this, last year ERG supported more than 10 000 children to attend school and provided medical service to more than 30 000 patients.